Polar vortex or absent cortex? in North America 'proves' that climate change doesn't exist. which manages not to mention either climate change or peak oil. Does that also confirm their non-existence? critics in making the statement. but that may be optimistic. And begs the question of 2100 onwards. We live in the age of agnotology and AGW is the source of most of it. Agnotology (formerly agnatology) is the study of culturally induced ignorance or doubt, particularly the publication of inaccurate or misleading scientific data. unclear what AGW stands for though, and which side do you believe is publishing false data? there are 3 basic tenets in the religion of global warming. 1 Surface temperatures are rising. 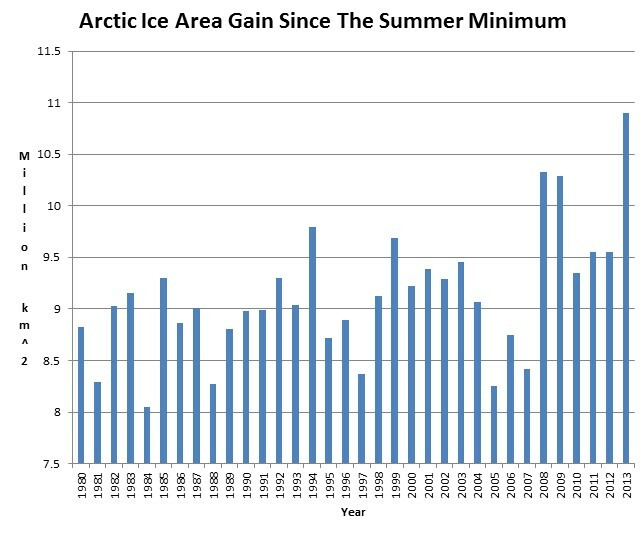 Oddly from the 97% of scientists who apparently support global warming not one has presented a peer reviewed work on why during global warming Surface temps are remaining static, both polar ice caps are expanding, during summer and why the DTR is increasing. The weather is undermining the religion of global warming. Rhonda I believe the climate is changing… it is cooling. Now if you can disprove facts or provide peer reviewed literature that explains why these facts are occurring during global warming, I might take your unreferenced claim, ‘The scientists are now predicting 4 degrees C of warming for this century but that may be optimistic’ seriously. The link to Walter doesn’t tell me anything about him, and the sceptic site (written by yourself, cohenite) is a mish mash of unclear statements. There are no institutional climate records (forget models, just look at the temperature records) show that temperatures are, in fact, going up. And a lot of the so-called missing heat is being stored in the oceans, which are also warming up. According to the latest statistics from NOAA’s National Climatic Data Center, the average temperature for the contiguous United States for 2012 was 55.3 degrees Fahrenheit, which was 3.2 degrees Fahrenheit above the twentieth-century average and 1.0 degrees Fahrenheit above the previous record from 1998. The year consisted of the fourth-warmest winter, a record-warm spring, the second-warmest summer, and a warmer-than-average autumn. The map above shows where the 2012 temperatures were different from the 1981–2010 average. Shades of red indicate temperatures up to 8 degrees Fahrenheit warmer than average, and shades of blue indicate temperatures up to 8 degrees Fahrenheit cooler than average — the darker the color, the larger the difference from average temperature. Every state in the contiguous United States had an above-average annual temperature for 2012. Nineteen states had a record-warm year, and an additional 26 states had one of their 10 warmest. On the national scale, 2012 started off much warmer than average, with the fourth-warmest winter (December 2011–February 2012) on record. The winter snow cover for the contiguous United States was the third smallest on record, and snowpack totals across the Central and Southern Rockies were less than half of normal. Spring started off exceptionally warm, with the warmest March on record, followed by the fourth-warmest April and second-warmest May. The season’s temperature was 5.2 degrees Fahrenheit above average, easily the warmest spring on record, surpassing the previous record by 2.0 degrees Fahrenheit. The warm spring resulted in an early start to the 2012 growing season in many places, which increased water demand on the soil earlier than what is typical. In combination with the lack of winter snow and lingering dryness from 2011, the record-warm spring laid the foundation for the great drought of 2012. Maps by NOAA climate.gov team, based on Climate Division Data from the National Climatic Data Center. Caption by Susan Osborne and Jake Crouch, adapted from the December 2012 National Climate Analysis from the National Climatic Data Center. Reviewed by Jake Crouch. yes, it is hard to believe something is not happening. Yes in the Great Lakes area it is the coldest since the 1930’s.Perhaps they need to burn more carbon based fuels. 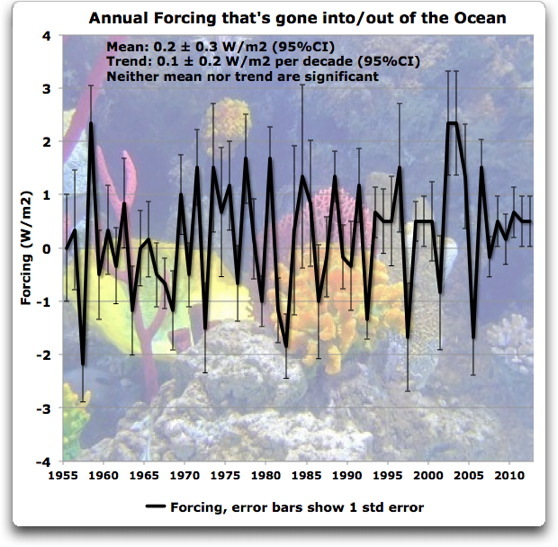 NOAA lacks credibility. It is a global warming site. It has been hijacked by warming terrorists. And those floods in England? Just coincidence? Makes me wonder where your ‘evidence’ of cooling comes from. ‘there are 3 basic tenets in the religion of global warming. You haven’t produced any peer reviewed literature to explain why the absolute reverse is occurring during the supposed global warming. Some years ago I used NOAA data to track surface temps until they, without acknowledgement, changed the basis of the reported averages. They excluded those stations where extreme temps were recorded. Sadly they only excluded those stations at the highest altitudes. And of course that led to distorted figures. The averages became warmer.. overnight. I dismissed NOAA as irrelevant then. Yes I do dismiss evidence from commercial insurance organisations who use fear as a tactic and who stand to make millions from the Global Warming fraud. The current flooding in the UK is entirely consistent with global warming. As the Artic ice expands variations in weather will occur. It seems to me now, I’d not regard flooding occurring in the UK in either summer or winter as at all unusual or unexpected. Just as I do not expect cyclones on the east coast of Australia this year. The monsoon is late and weak and I suspect the Coral Sea, which feeds the Great Australian East Coast Current, is cooling. Higher surface temps are being experienced off the Australian coast this year. I suspect the Humbolt Current is, on the other hand, cooler. It runs from the now obviously cooler Antarctic Ocean up the west coast of South America and feeds the sub equatorial current which in turn feeds the Coral Sea with cooler water probably cooling it, thus retarding the descent of the monsoon and the subsequent cyclone activity. These currents are over 400 meters deep and many miles wide. The BOM predicted 6 cyclones for the East Coast of Qld this year. They predicted 6 last year and 12 in the year of Yazi. Last year there were two and in Yazi year 4. Only one in the last six years has exceeded Cat 3. That was Innisfail’s Cyclone Larry, two years before Yazi. Yasi produced widespread damage assessed at Cat 3 with isolated patches of Sat 4. Since the cyclone season this year only has 10 weeks to run and there are none on the horizon … well you figure it out. Shaun Marcott and colleagues showed global temperature rose faster in the past century than it has since the end of the last ice age, more than 11,000 years ago. Do you also think all those people in the south Pacific are deluded when they cry out for help because their islands are getting wrecked by rising water? Rhonda giving me a list of Peer Reviewed articles claiming to prove AGW isn’t what I asked you to provide. I asked you to either deny (i)the Polar Ice caps are expanding (ii)Surface Temps are stable and (iii) the DTR is increasing OR provide peer reviewed literature that explains these facts during a time of supposed warming. ‘Surface temperature reconstructions of the past 1500 years’. Really Rhonda that is not science it is absolute guesswork. Rhonda sea ice cannot form in warming oceans. In fact sea ice is expanding in oceans where it hasn’t been seen for years. Your generalisation ‘the oceans are warming’ is clearly wrong. The best you could possibly claim is that some parts of some oceans are probably warming. And I without to much effort could show cooling would probably be related to those warming areas. East Coast of Qld is one of those areas. Please supply a link to satellite photos of those sinking South Pacific Islands. If they were sinking, sure as hell is hot, those photos would be plastered constantly everywhere by the warming terrorists. What this means is that NO energy/heat can be being stored at the lower ocean depths if the same amounts are coming out as are going it. 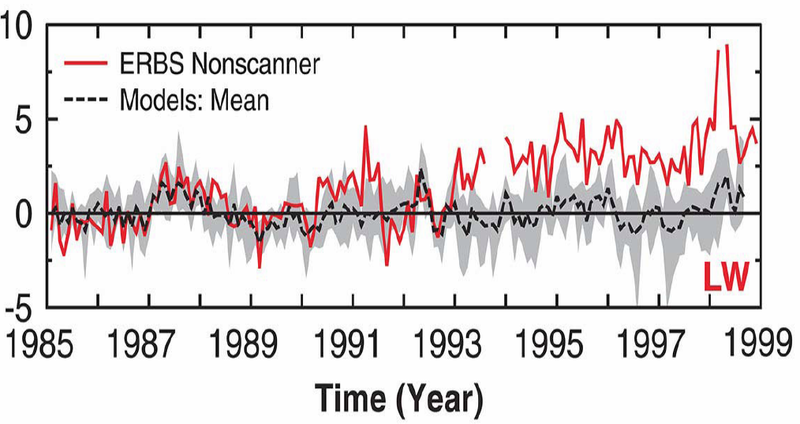 The graph from Wielicki et al [http://www.sciencemag.org/content/295/5556/841.abstract] shows the outgoing LW radiation which is the Greenhouse radiation, in red; when the red line is above the horizontal more LW energy is leaving the planet then is being received. The point is, if more energy is leaving than being received there CANNOT be heat being stored at the ocean bottom. In respect of temperature my original link to Brozek’s work showing temperatures have been flat for up to 17 years is self-explanatory and with the greatest respect if you think it is a mish-mash that is a reflection on you rather than the data which is all I present at the link. It is pointless to argue with these closed minded sceptics. They have their own set of “facts” to counter any you might provide and are not going to change their view. I agree totally with you but you are just wasting your time and energy entering into a debate. A typical alarmist snide, supercilious non-contribution from rossco. What I want, as a sceptic, is reliable weather and climate forecasting undiluted and perverted by filtering through an ideology such as AGW. Currently those climate authorities such as the BOM which promote AGW have a dismal forecasting record. What I also want is an end to the enormous waste of money and resources now being diverted into propping up AGW. This is money which could be better spent. The corruption of science and academia by AGW is a public disgrace, as is the infiltration of AGW into schools. The watermelons have really done well in their project to dominate these institutions. Still, every time I read a ridiculous comment by the likes of rossco I realise what a great society we have where even those who would undermine that society can have an equal voice to present their rubbish. Tulip mania. They has it. I think neither of us simple minded. I think we have come to the positions we have because of vastly different life experiences. I think we are typical of our Australian egalitarianism. Stating that means we know not everyone holds all the truth and that we are free to change our minds without rancour. It also means we respect each others right to our opinions and respectfully disagree without obrium or angst. That is our way. It has always been our way. I think we have had a great civil exchange. Abusiveness as shown by rossco is not our way. I reject it and I think you might too. Chris Turney had his own set facts and finished up stuck fast in an inconvenient one. Expanding ice in the Antarctic in our southern summer. Quite a few yachties will attest to being stuck fast in another inconvenient fact in the NW Passage this northern summer. Of course that also confirms the NASA photos which show a 50% increase in the Artic polar cap. Do you understand the DTR? Of course you do. It is part of your facts. But sadly it is increasing not decreasing as your scientists had been telling us. The IPCC is now acknowledging Surface Temps are not rising as they once claimed. It is now being widely accepted, at the very least, they have been stable for 10 years. Care to deny those facts? I will understand if you cannot respond. I will simply take that silence as your acceptance them. With all due respect, Keith, (and other data interpreters) I don’t see any point in replying. Everything I see and read says Arctic ice is decreasing, surface temps are increasing, and the oceans are becoming not just warmer but more acidic. No further discussion, but I will take bets if any of you are game (and promise to pay up) But you choose your data, and dismiss the most widely accepted international sources, so why continue? Unfortunately NASA satellite photos and the IPCC no longer support your case. So I agree we shouldn’t continue until you can explain the photos and the IPCC’s current position on surface temperatures. Complete and utter junk; the data contradicts you on each of these points yet you persist; your position is based on belief and your lip service to data and facts is just like the creationists pretending they have scientific credibility. AGW is a failed theory, revealed to be based on ideology and driven by money, power and vanity. The irony is real pollution issues are ignored by the AGW acolytes. expensive, the Navy will warn. The report is due within “a few weeks”. Bloomberg. The findings will be published in 2014. You really are naive aren’t you ronda? 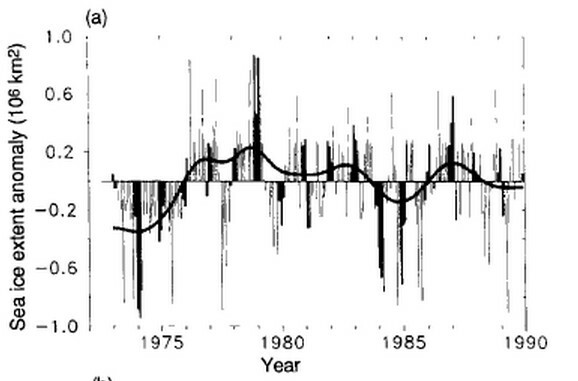 All the data for the above graph is from the Cryosphere which is based on NSIDC data. And yet you link to a Times report to shore up your belief. Why don’t you ask Professor Turney to take you to the North Pole; he had so much success when he went to the South pole; maybe you’ll find Santa this time! That report is factually wrong. The NW passage froze over in summer this year for the first time in 50 odd years. it has been navigated by yachtsmen and commercial vessels for a few decades. I look forward to the peer review of the prediction which obviously hasn’t explained this years 50% expansion. If they failed to predict this summers freeze how can you expect their modelling to predict things 5 10 20 and 30 years in the future? when anyone challenges the fundamental basics of any belief I may have. I don’t thrash around seeking further reinforcement of my belief. I go right back to the sources my belief and reassess things according to new or emerging evidence. If my beliefs are based in evidence that is now being assessed by authorities I trusted well I am not simple minded to blindly carry on espoused those beliefs. I sit quietly reassessing things. As I did when Global warming was first being propounded. I sensibly sat on the fence agreeing climate change was occurring and bit my lip in the face of ‘overwhelming’ consensus and selective and manipulated evidence. I never agreed with much that was published because I could not make sense of it. I have studied the meteorology of the officers of the Royal Navy. Their knowledge is drawn from a body of experience and observation of over 600 years and probably back to the Portuguese. I make my own forecasts when at sea. My life can depend upon it. I trash the forecasts of the BOM. They are too often wrong. There are lessons here for you.